After releasing two midrange devices with the V15 and X27, vivo’s next offerings will likely cater to the budget segment. Two new phones by the company popped up on Geekbench touting entry level specs. The first offering, the vivo 1901, comes with the budget Helio P22 SoC along with 2GB RAM and Android 9.0 Pie. The phone manages to push out a single core score of 811 and 2473 on the multi-core test, similar to the Helio A22 powered Redmi 6A. 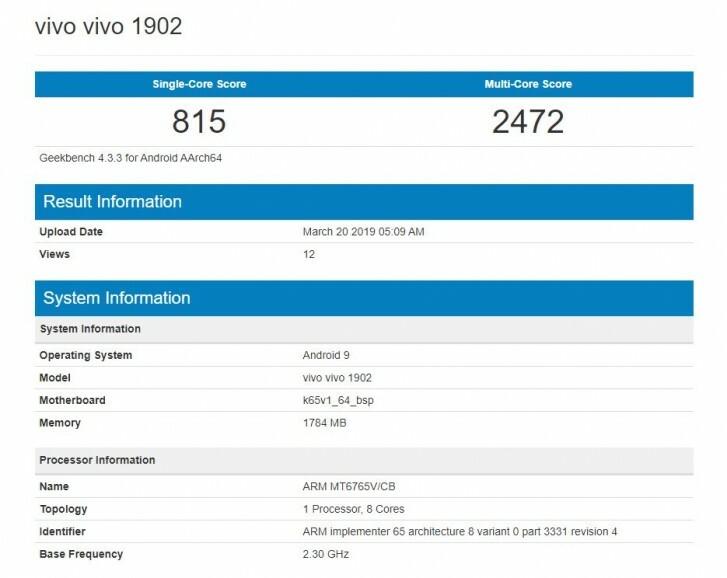 The vivo 1902 packs the Helio P35 also paired with 2GB RAM and Android Pie. 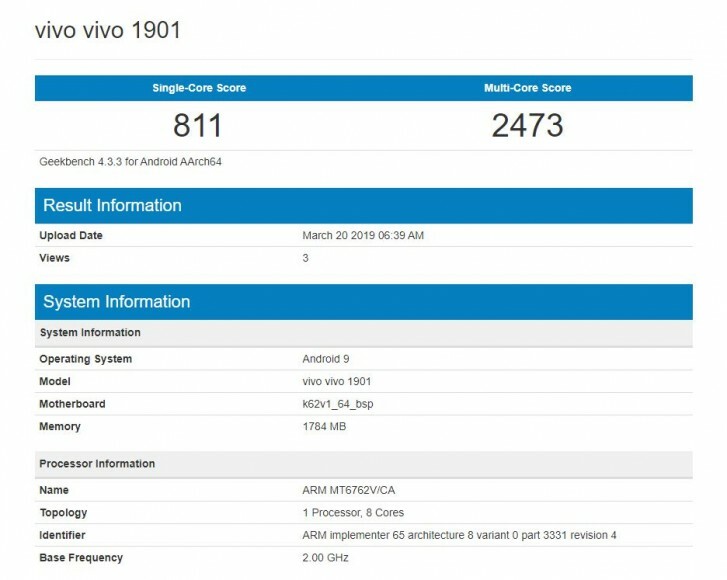 Performance is almost identical to the vivo 1901 with 815 single and 2472 multi-core scores, respectively. Going by these specs, the phones will presumably be vivo’s answer to Samsung’s M10 and Xiaomi’s new Redmi 7. They will likely come to vivo’s budget V and Y series.